Gone are the days when powder boards were giant planks that you only broke out a few times a year, on the deepest days of the season. The Burton Family Tree Speed Date Snowboard floats just as well as any of those behemoths of yesteryear, but it also offers a fast, agile ride that surfs nimbly through powder and rails turns on hardpack when the snow isn't quite as fresh. Simply put, this is a board that you'll love riding all season, no matter what the conditions are like. The key to its versatility starts with Burton's Balanced Freeride Geometry. This design lets it ride like a setback directional board when you're in fresh powder, but still centers the stance between the contact points so the board feels like a twin when carving up groomers. Speaking of the shape, the Speed Date sports a huge nose and a stubby, tapered tail so your tip stay up with ease, even in the deepest, fluffiest snow. Directional Camber places rocker at the nose for added float, but uses camber throughout the rest of the board for reliable edge hold and powerful response. Whether you're slashing powder or trenching turns on your favorite blue run, the Speed Date is your ticket to a good time. I got to use this at the tail end of the 17/18 season and Burton was kind enough to let me use this, I have to say.... I was blown away! 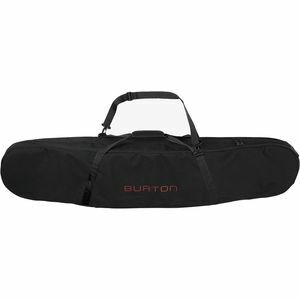 Burton made this board with banked slaloms in mind, something for that person who wants something quick edge to edge. Combined with an early rise camber profile and a setback stance, you have a board that kills the groomers and can handle pow like a champ. The flex is a mid-stiff I feel like it is also softer in the nose and tail. Also has a much narrower waist width and a burly nose that gives you a pretty good taper. Compare the effective edge to say a Flight attendant and you can tell right away this was not just built for POW but something that is built for someone who loves to turn. Now combine everything with a super-fast sintered base, you got yourself a race car that loves tight turns and can go off road, if there is such a car? But back to the board! I had the most fun on this board last season! I am 5'7" and 180lbs; I rode a 156cm board. If you have questions about this board, feel free to reach out.